1. Combine the ingredients in a food processor and pulse just until a dough begins to form. 2. Remove the pastry dough from the food processor, form into a ball, wrap with plastic wrap or parchment paper and chill for 30 minutes. 4. Roll out the pastry crust. Prick the bottom of the crust several times with a fork. Then, line the pastry with parchment paper and weigh it down with pie weights (or dry beans, which is what I use). 6. Remove from the oven and let cool. 2. In a frying pan on the stove, heat the butter and add the onions. Sprinkle lightly with salt. Cook the onions over medium high heat until they are caramelized. 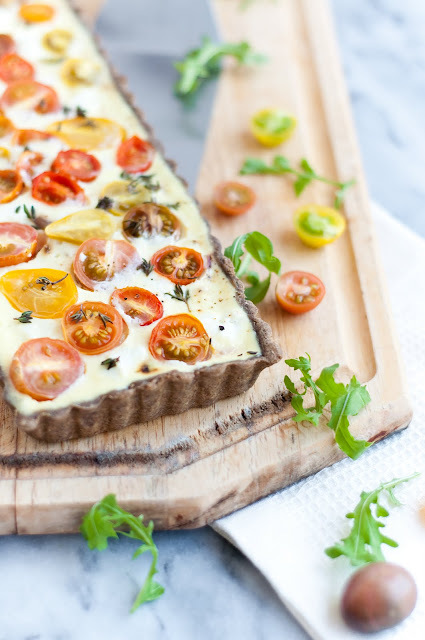 Remove from heat and distribute evenly in the bottom of the prepared tart crust. 3. In a bowl, whisk together egg white, egg, and plain yogurt. Add a little bit of salt and pepper. Pour over the onions in the tart. 4. 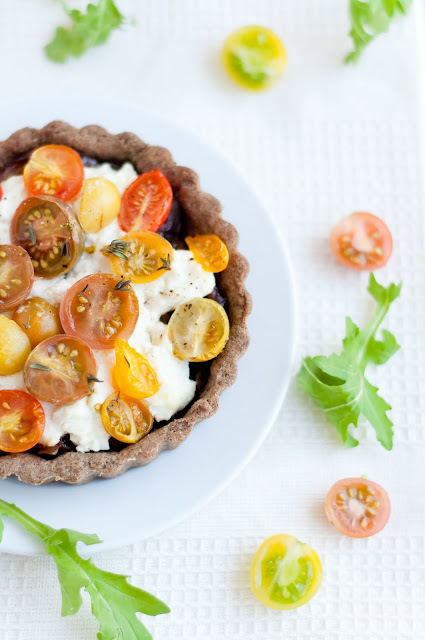 Spoon small scoops of goat cheese into the tart and distribute the heirloom tomatoes. 5. Sprinkle the tart with salt, pepper and fresh thyme. 6. Bake in the oven for ~30-40 minutes, just until the edges of the quiche begin to set. Remove from the oven and let cool. Tart can be reheated in a 350 degree oven for ~10 minutes, if desired, or it's good cold, too! Tip: If you want to skip the egg mixture, that works perfectly fine, too, though you probably want to bake it for a little less time (~20-30 minutes), just long enough to melt the goat cheese and cook the tomatoes. 1. Preheat oven to 300 degrees F. Prepare a baking sheet lined with parchment or a silpat . 2. Begin whipping the egg whites on low until they become foamy. Then, increase speed to medium-high, gradually adding the superfine sugar. Beat until glossy stiff peaks. 3. Whisk in the corn starch, vinegar, and vanilla extract, being careful not to overmix. 4. Spoon the meringue onto the silpats, shaping the meringues with spoons for your desired size. Make an indent with the back of a spoon on top of each meringue. 5. Place the meringues in the preheated oven. Immediately lower the oven temperature to 250 degrees F and bake for an hour to an hour and a half, until the outside of the meringues are dry. Turn off the oven and allow the meringues to cool inside the oven. 1. Prepare a fine mesh strainer over a bowl. 2. In a double boiler (or, if you're brave like David Lebovitz, cook this directly on the stove over low heat), whisk together the lemon juice, sugar, egg yolk, egg, salt, and cut butter. Cook over simmering water until the butter is completely melted and the mixture thickens enough to coat the back of a spoon. 3. Remove the lemon curd from heat and strain through the prepared sieve. Mix in the freshly grated lemon zest. Allow the curd to cool completely. 4. In a chilled bowl, whip the cream just until stiff peaks form. Whisk in the powdered sugar and then quickly fold in the cooled lemon curd, being careful not to overmix. Use immediately (though, if you whip manufacturing cream properly by hand, this cream should stand in the refrigerator for at least several hours without breaking down). 2. 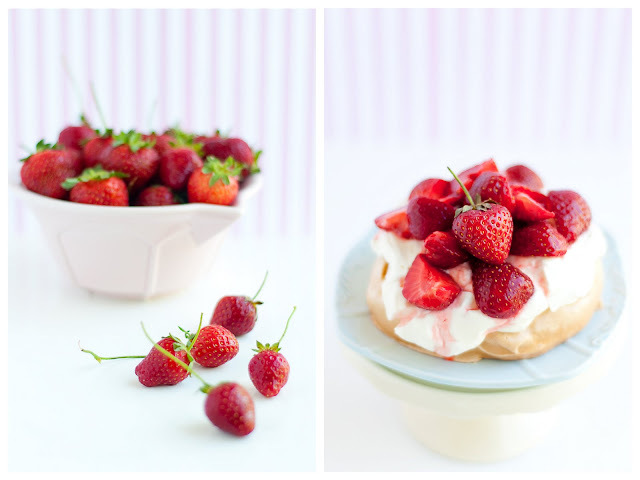 Top each meringue with a generous helping of lemon curd cream and macerated strawberries. *Tip: to make superfine sugar, weigh regular sugar and grind in a food processor for several seconds. Oh My! Those are just some *stunning* photos of the sun shining through - I don't blame you for just wanting to be under that tree - I would too! This post is just making me crave summer! Lovely. Gorgeous! Love the sound of that tart. And the photos of that tree make me want to sit under it too...so inviting! Yes! Go enjoy the weather, that's what it's there for. In the meantime, I will just gaze longingly at this lovely quiche. So good. What a delicious and lovely spring meal - and such beautiful photos too. Thank you for inspiration. I'll be taking it with me to the farmers market this weekend! Truly inspiring! I mean, I have a jar of freshly made lemon curd sitting in the fridge, waiting to be used and exhalted in a simple yet yummy recipe, and here you are! I think this weekend something great is going to happen in my kitchen thanks to this post! 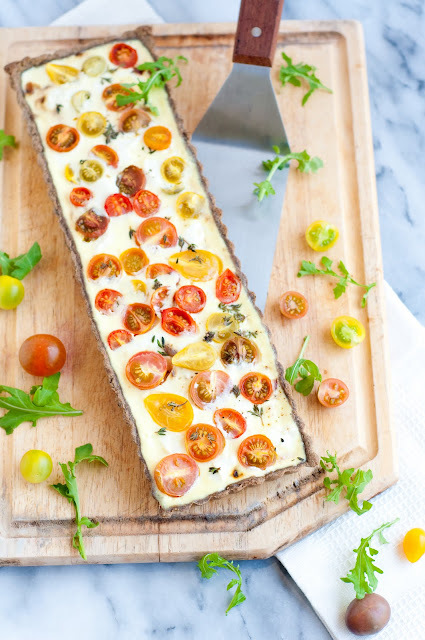 By the way, the heirloom tomato quiche or tart or whatever is gorgeous! ..and that tree as well! Wow, your photos are beautiful. The tart looks so good, as well. Ahhhhh such gorgeous lighting! 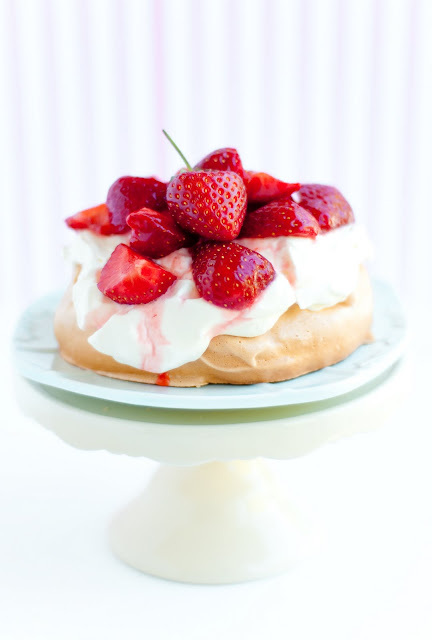 I love savory tarts and have recently become fascinated with the idea of pavlovas. Dying to make/try it!